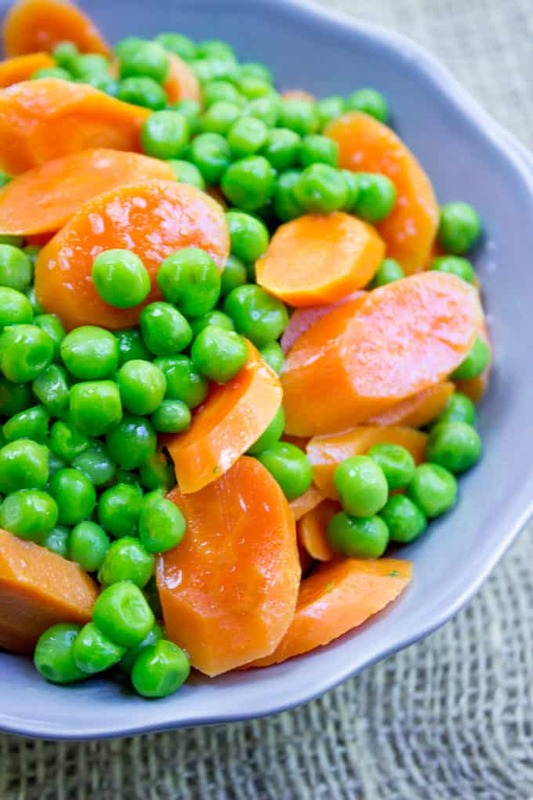 Classic Buttered Carrots and Peas made in just one bowl in a microwave and just five minutes using fresh carrots and frozen sweet green peas. 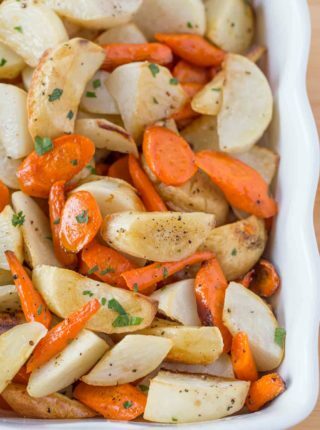 A perfect bright side dish to your favorite meal. Classic Buttered Carrots and Peas seemed like the most appropriate recipe I could share after yesterday’s most inappropriate photo ever. As I uploaded the photo of the Chocolate Covered Bananas to edit them I realized just HOW inappropriate they were and recoated more bananas with more peanuts to make them more family friendly. 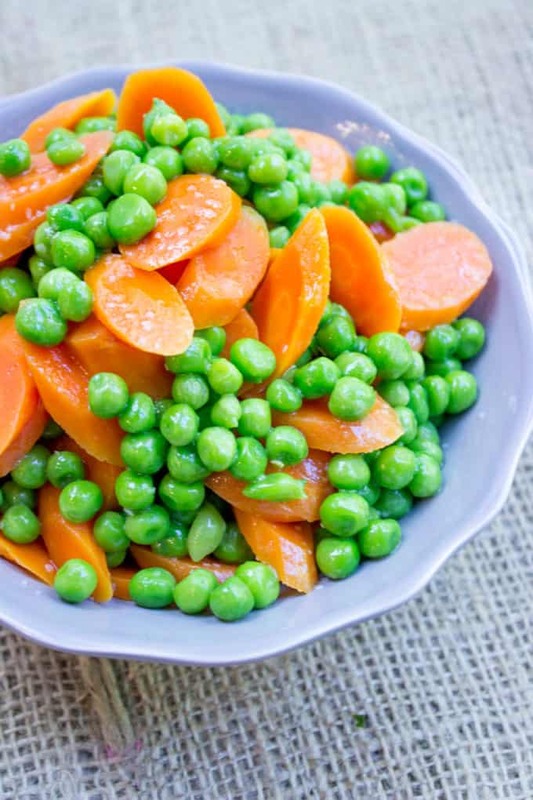 Today’s Buttered Carrots and Peas is about as family friendly as it comes, the most classic of side dishes and something you’d even find in a 1960’s frozen dinner. The recipe uses frozen sweet peas simply because frozen peas are incredibly high quality and are one of the few vegetables you won’t suffer for choosing a frozen version of. Fresh carrots are used because no matter how well you cook a frozen carrot, the texture will forever be altered. The water that freezes inside the carrot will thaw and even if roasted, when you bite into a previously frozen carrot you’ll get a slightly spongelike texture to it that makes eating them slightly unpleasant. So to make Buttered Carrots and Peas we use a mix of fresh and frozen. With the carrots sliced as thin as they are, they steam in my favorite glass microwave safe bowl in the microwave in just a few minutes. The remaining two minutes allows the peas to come to temperature since they don’t need to be cooked and allows for any final cooking the carrots need. Lastly since you cooked them uncovered for the last couple of minutes your vegetables will be slightly dried and ready for a coating of butter. Add the sliced carrots to a microwave safe glass bowl slightly wet. Cover with a wet paper towel and tuck into the bowl around the edge. Uncover, add in the peas and stir to combine. Add Kosher salt and pepper to taste. Microwave an additional two minutes, uncovered. Over a sink, tilt the bowl to drain any liquid the frozen peas released or your butter will be diluted. Add butter and stir to coat. 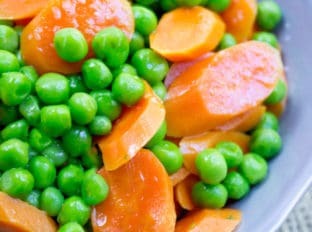 Planning on making this carrots and peas dish for a Christmas gathering…..can I make ahead and just reheat in microwave? Or at least just do the carrots part and then add the peas just before serving? So sorry I missed your question. You definitely can make it ahead of time and just warm it up but it really comes together so easily, you might just want to make it fresh. I hope you had a wonderful holiday! The classics are the classics for a reason! Love this! 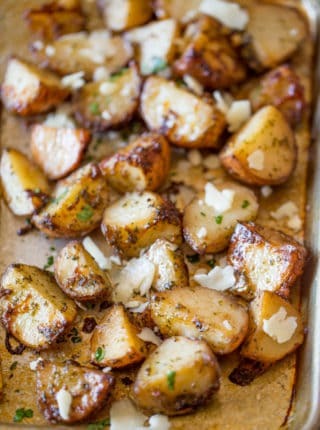 A classic side dish! I love the colors of peas and carrots together! This really is a classic side dish! Love it…yum! Classic, easy dishes are my favorite! My mom aways made this side dish when I was little. Absolutely delicious! 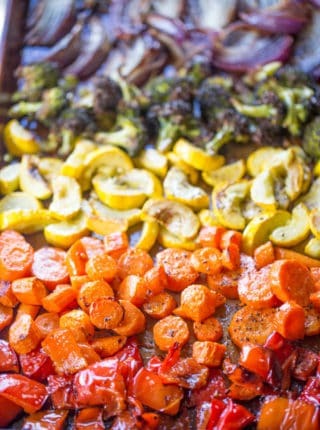 I love simple side dishes that don’t take forever to put together… this definitely fits the bill 🙂 Gorgeous bright colors too! This is definitely a classic…reminds me of being a kid! All I need is a pile of mashed potatoes and a slice of meatloaf to make a comfort meal! This is a true classic – one I could have any night. 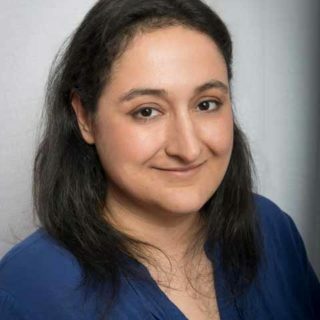 Congratulations on your blog-iversary too! I loved peas and carrots as a kid! I also loved corn and limas (succotash). I was not like those kids who didn’t like their food to touch. I mixed mine all up! Especially peas in my mashed potatoes! Thanks for bringing back a classic! Kids have such interesting eating habits! It’s a shame most of us lose them as we get older! 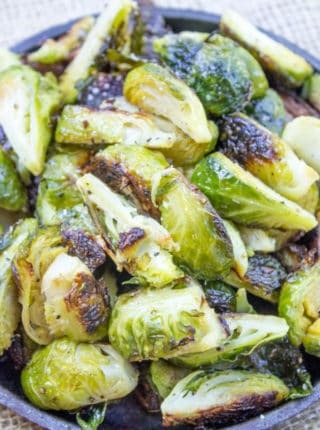 This is one of my favorite vegetables combinations. It is a perfect way to get kids to love their veggies.